Mother's Day is just around the corner for us Brits, 6th of March in case you didn't know! 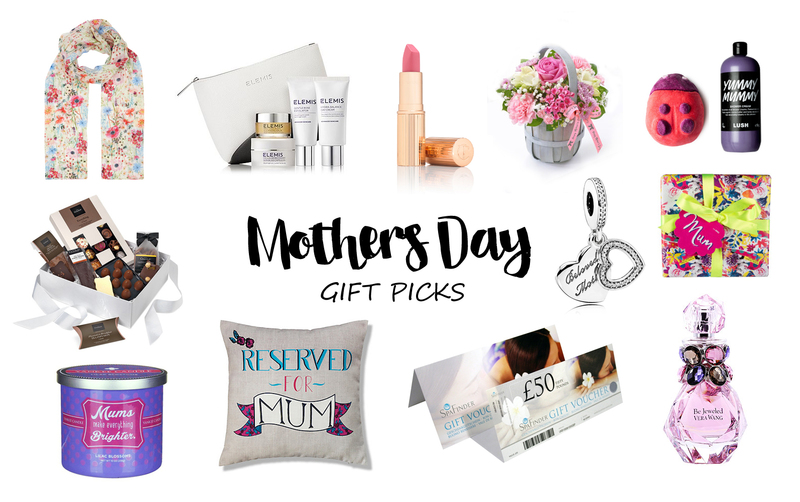 So I wanted to share with you my top picks of gifts to treat your lovely Mum's with this Mother's Day whatever your budget, it's the thought behind it that counts. I hope my picks will get you inspired! If I could afford to get all of these things for my Mum then I would as she is the best, most supportive Mum I could ever ask for! Flowers | A beautiful bunch of flowers is the most classic Mother's Day gift! The three I've got pictured here are all from Interflora, they have a massive selection on their website and will deliver on Mother's Day. An alternative option is Moonpig Flowers, the have a lovely variety of bouquets for different budgets. Candles | Have the fragrance a bouquet of flowers brings to your home last ten times longer by treating your Mum to a scented candle! The two options I have for you here are beautiful floral frangrances by Yankee Candle and I know my Mum for one loves both of these. First is this 'Mum's Make Everything Brighter' Sentiments Candle £14.99, which comes in a vibrant purple glass tumbler. The fragrance is the now rare and retired scent Lilac Blossoms, I bought this for my Mum for christmas as Lilac blossoms is her all time favourite Yankee fragrance and it is so hard to come by now! Described as "an alluring grove of lavender and a combination of white and deep purple lilacs". 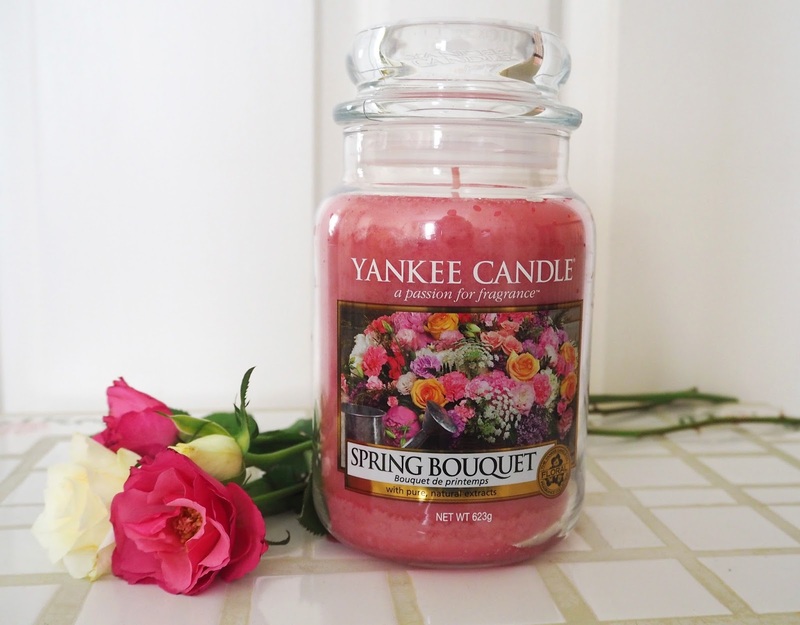 Another great option is this candle Clintons have brought out of retirement especially for Mother's day this called Spring Bouquet £21.99 (pictured above) described as "offering the sweet, fresh scent of a spring flower stall, this exclusive USA Yankee Candle jar is sure to brighten up any home. With elegant orange blossoms, ylang-ylang and jasmine, this fragrance is wonderfully romantic." Lush | For some blissful relaxation time at home give your Mum one of these pampering Lush gift sets. 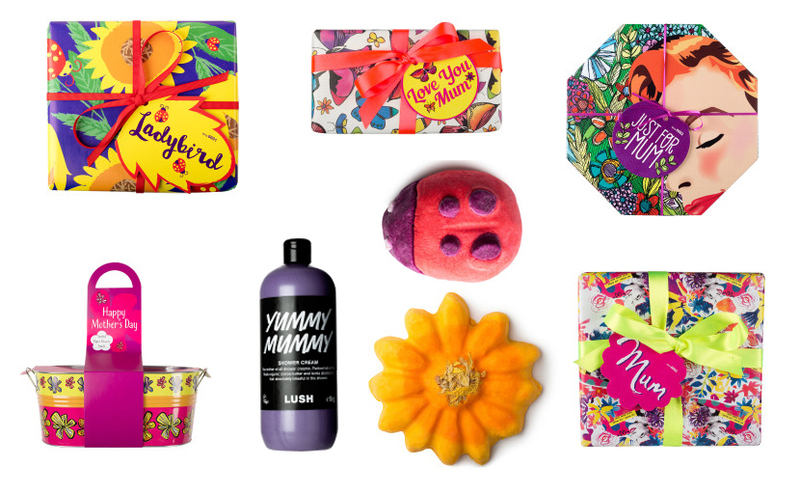 Lush have a wonderful range of Mother's Day gifts and special releases this year all of which are 'ready to gift' no wrapping required! Perfume | A nice perfume is always a good gifting option for any woman and I've found some lovely ones on Fragrance Direct at great discount prices! Scarves | My Mum loves a printed scarf and I thought this Floral Scarf from Accessorize at £12 would make a perfect gift for her especially with Spring on the way! I also liked this Butterfly Printed Scarf also £12, as an alternative. Elemis | Give your Mum the gift of beautiful skincare with these Elemis gift sets I found. These are particularly good if you're unsure of her skin type or she wants to start a new regime I think. Elemis Beautiful Skin Collection £36 at Time to Spa containing their Cleansing Balm, Gentle Rose Exfoliator, Skin Bliss Capsules & Hydra-Balance Day Cream, another fabulous option is the Elemis Face & Body Anti-Ageing Collection which includes the Cleansing Balm, Soothing Apricot Toner, Gentle Rose Exfoliator, Pro-Collagen Marine Cream & British Botanical Shower Cream, now on sale at £30.40. Lipstick | Charlotte Tilbury is a luxury beauty brand with beautful quality products and each item comes packaged like an indugent gift! My gift picks for Mother's Day would be one of Charlotte's new Matte Revolution Lipsticks in shades Between the Sheets or Amazing Grace £23 each, both flattering and wearable pink shades. There are also some lovely gift sets available including this Mini Lipstick Charms £29 which contains a set of three of Charlotte Tilbury's best selling lipstick shades in minature. Pandora | Pandora have a variety of charms and sparkling gifts especially for Mother's Day. My personal favourite is this Beloved Mum Charm for £40 which you can add to either a Necklace Chain or one of their iconic Bracelets. Spa Voucher | Is your Mum always running around after everybody else never finding time for herself?! I think that is most Mum's! Give her the treat of some much deserved 'me time' with a pampering spa treatment. There are so many gift cards available but my favourites would be Champneys Gift Cards starting at £25 which is renowed for their luxurious treatments. Then there is Spafinder where she will be able to choose her most local spa from thousands of options up and down the country to reedem her voucher. Spafinder is also great for last minute gifts as you can print them off or send them as an email. Cushion | I thought this cushion would make such a wonderful gift for every Mum and will ensure she gets the best spot of the sofa reserved from now on! From Marks & Spencer, priced at £15. There is an equivalent one for Dad too so maybe get a head start on Father's Day and grab him one too! Chocolates | Hotel Chocolat have a selection of indulgent Mother's Day chocolate boxes and bundles depending on your budget, all with very pretty decorations and packaging. I love the Everything Collection £35 if you're wanting to splurge or the Mothers Day H Box coming in at a lower price of £12. If you're generous maybe you'll get to snaffle one too! I hope this blog has given you some present ideas. What will you be getting you Mum for Mothers Day this year? Great ideas! Love the flower jug arrangement!